عملاق جلب و تحديث تعريفات الجهاز DriverMax 7.19 Final - .. :: منتدى تاروت الثقافي :: ..
DriverMax is a new tool that allows you to download the latest driver updates for your computer. No more searching for rare drivers on discs or on the web or inserting one installation CD after the other. Just create a free account, log in, and start downloading the updates that you need. You can also export all your current drivers (or just the ones that work ok) to a folder or a compressed file. After reinstalling Windows you will have everything in one place! Most of the situations when Windows is running slower are caused by faulty driver installations. Windows stores all versions of older drivers just in case you want to go back; sometimes it messes up older versions with more recent ones. The Export Wizard will only export the drivers you select by copying the needed files to a folder or a compressed ZIP file. After reinstalling Windows all drivers will be back in place in less than 5 minutes – sparing you of searching, inserting disc after disk and losing precious time.The Import Drivers wizard allows you to install all the drivers that you exported earlier. The entire operation might take up to 5-10 minutes. Just one single computer restart will be required after all drivers are reinstalled! DriverMax is able to display a complete report of all drivers (versions, release dates) installed on your system. This feature can also be very useful when you want to analyze the differences between the drivers installed on different machines. Choosing and installing the correct device drivers for given hardware is often a key component of computer system configuration. 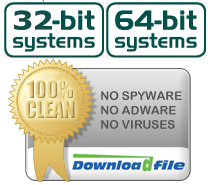 DriverMax only works on Windows XP, Vista, Windows 7, Windows 8 (32-bit & 64-bit).